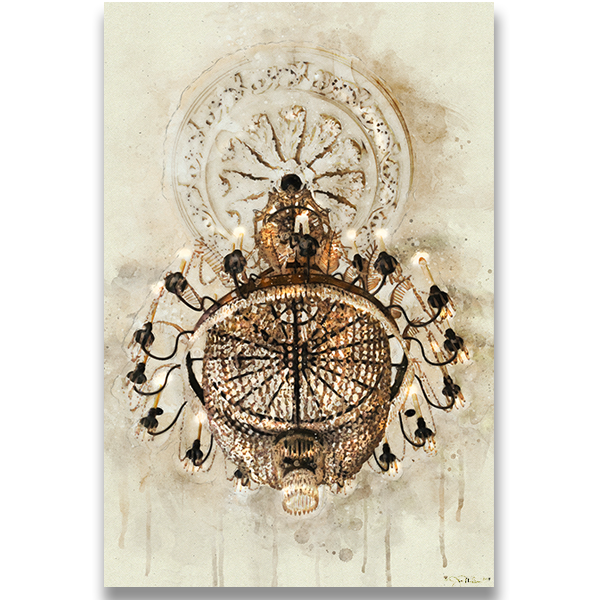 This canvas displays a beautiful chandelier from the historic Omni Royal Orleans Hotel in New Orleans. It is rich with a watercolor wash aglow with warm light and muted colors. This watercolor replica showcases the timeless beauty and distinction of this historic tourist hotel. Makes a great piece to display in a collection with our other historic hotel canvases featured on website or to stand alone. Works well in any decor whether rustic, contemporary or something in between.